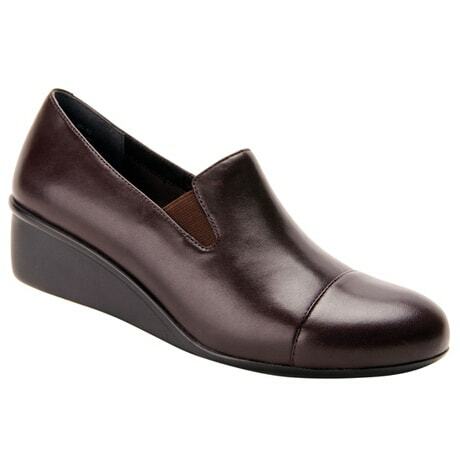 This women's wedge is crafted with a leather upper and a foam-cushioned footbed that lends extended comfort. Rubber sole to carry you through your day. 1½" heel.